When you guys request a molecule, I really like to see if I can make it happen ASAP. Keep the molecule requests coming! I'll help out if I can. 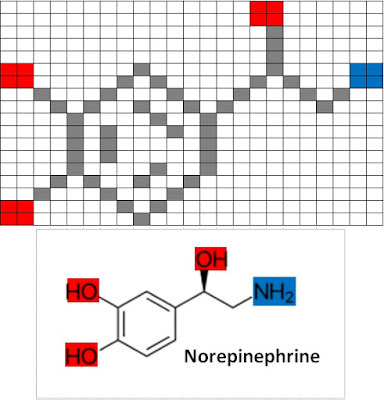 Make sure you check out the other Molecule Knitting Charts I've created. Especially as the March for Science approaches I know people are trying to get their science knitting projects underway. 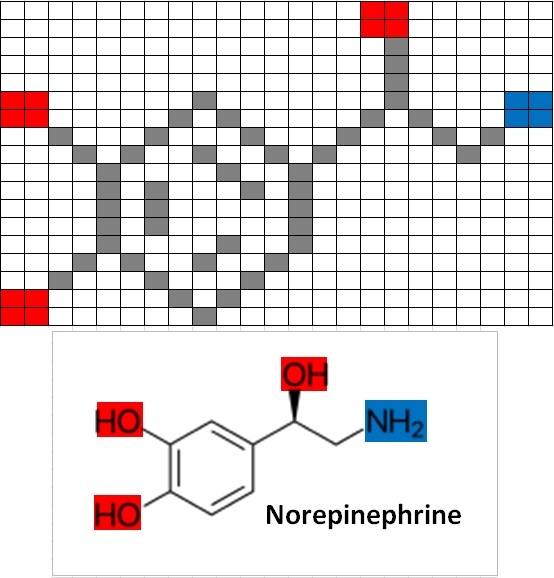 Norepinephrine Molecule Knitting Chart © 2017 ChemKnits & Rebecca Roush Brown. These charts are available for free via www.ChemKnits.com for your personal or charity use. You are not to copy or distribute this pattern without the permission of the publisher, ChemKnits.